All VERDE MOUNTAIN ESTAT homes currently listed for sale in San Antonio as of 04/26/2019 are shown below. You can change the search criteria at any time by pressing the 'Change Search' button below. "Wonderful Home Nestled on 10+/- acres with plenty of trees, in the Quiet Hill Country, and still convenient and close to city life! Covered porch & balcony runs the length of the home. 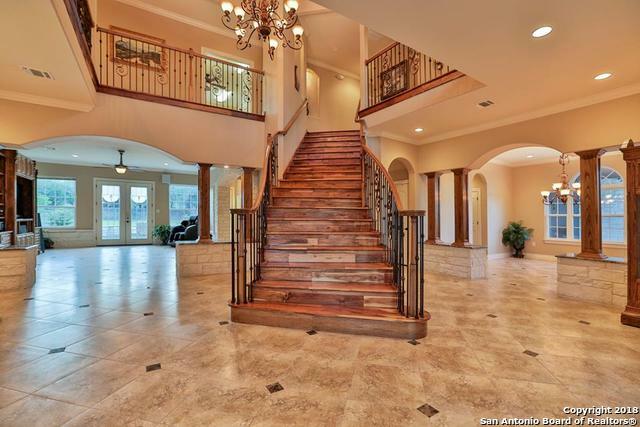 Love Your Gorgeous Grand 2 story entry with winding teak-wood stair case, Fantastic custom cabinets in the Grand kitchen. Spacious secondary bedrooms, playroom, gym, gameroom/entertainment room with kitchenette, and 3rd Story Balcony. Master Suite with Spa Like Bathroom to Die For! Enjoy Your 1000+ SqFt Gargae Ar"